Operations Wing: Headed by a Deputy Executive President, this wing is responsible for all general Banking operations and control of the Branches. Investment Wing: Headed by a Deputy Executive President, this wing processes Investment proposals received from different branches, analyze them and get approval from the competent authority. This wing also responsible for monitoring the Bank’s Investment portfolio. International Banking Wing: Headed by a Deputy Executive Vice President, this wing processes foreign transaction, foreign exchange, foreign remittance etc. Mudarabah principle: The depositors take the role of a financier and the bank plays the role of a business enterprise. Profit is distributed as per agreed ratio but if the enterprise suffers loss, this goes on to the financier only. All types of Term Deposits of the bank are collected under Mudarabah contract. In Mudarabah contract the financier can not take part in the management of the business. Al-wadeeah principle: The Al-Wadeeah principle is applied when bank takes current or cost free deposits. The principle provides that the depositor deposits his/her money in the bank providing bank permission to use the fund and stipulating that, bank will be obliged to pay back the money to the depositor as and when demanded. The Banker Customer relationship is essentially a debtor-creditor contractual relationship. This relationship may be divided into two categories. After the contractual relationship is established between the banker and customer, they have to avoid by some implied conditions of the contract as well as practices of the bank. Customer is to use checkbook while demanding payment from his account. Customer should keep checkbook in his safe custody. Customer must inform the bank on time for any loss of check leaf or checkbooks. Customer while depositing money or presenting check, they must do that during business hour of the bank. Bankers also should give necessary banking advice and help the customer in various banking activities. This section opens account. It receives account opening application from the interested applicants, examines and scrutinizes the applications and then selects final customers. Selection of customers is very much important as the success and failure of the bank is largely dependent on the valued customers. If the customer is found to be fraudulent or create some sort of forgery, it will ultimately destroy the goodwill of the company. The following formalities must be maintained by the customer for opening of different types of account. (g) If the letter of thanks is returned back, without delivery for non-availability of address or person, it must be marked on this letter and to be informed to the computer department. Accounts mandate-regarding drawing, survivorship, power to overdraw and other matter, i.e. for withdrawal of goods kept for safe custody, separate mandate from surviving persons, closing of debit a/c, stopping operation of a/c after instantly of any person, obtain receipt made by survivors and representatives of deceased persons. If the account is opened for convenience of husband, then the balance cannot be claimed by the window but to be sent to the estate of the deceased person. But, if the account is opened for the provision for wife, then the widow can claim the balance in full. In case of opening an account by a sole-proprietor of a firm, he/she should sign the account opening form and furnish his specimen signature showing his representative character. All items for individual account holder as stated above. A banker should not open an account in the name of a partnership unless one or more of the partners apply to him to do so. Except where the partner, making an application for the opening of an Account in the firm’s name, is deprived of the power, which fact is known to the banker, there can be no legal objection to a banker opening an account in the name of the firm at request. Failure, however, to make proper enquiries by referring to the partnership agreement or any other record in writing which maybe available before opening of account on behalf of a firm in a partner’s name may lead a banker in trouble. Insolvency of the partner: If the balance is in debit, the a/c must be closed and the debt should be proved to the receiver. If the a/c is in credit the other partners may continue the account. Any cheque previously drawn by the partner’s maybe paid on the confirmation of the partners. Death of a partner: If the account is in credit, then other partners may be allowed to continue the same but the bank should take fresh mandate from other partner but if the account is in debit then the account must be closed to determine the liability of the deceased’s estate. Prohibits any invitation to the public to subscribe for the shares, if any or debentures of the company. Certified copy of resolution of the board of Directors regarding opening of a/c, the execution of papers and conduct of the account. Copies of latest financial statement/ Transaction profile. All terms for individual account holder as stated above. It could be closed either by a banker or by the customer itself. Banker: If the customer does not have transaction with the bank for more than a year it may categorized as irregular. And if the customer does not have transaction for 10 years, the customer will be sent a letter. Customer: If the customer intentionally wants to close the account he/she has to write an application forwarding the Manager with reasons behind the closure of the account. Then the officer checks the cheque from the computer for further verification. Here is the following information that is checked. The cash section deals with all type of negotiable instruments. It also includes the Vault which is used as the store of the cash instruments. The vault is insured up to a certain amount, which is called the vault limit; the excess cash is then transferred to Bangladesh Bank. When the excess cash is transferred, the cash officer issues IBDA. Any client who wants to deposit money will fill up the deposit slip and give the form along with the money to the cash officer over the counter. The cash officer counts the cash and compares with the figure written in the deposit slip. The picture below shows a typical cheque issued by banks. The cheques should not carry a date older than the receiving date for more than 6 months. In that case it will be a stale cheque and it will not be allowed for collection. The amount in figure and words in both sides of the pay-in-slip should be same. The name mentioned in the cheque should be same in both side of the pay-in-slip and it should be the same with the name mentioned in the cheque. The place where banks meet and settle their dues is the clearing house. The clearing house of the IBBL, Gulshan Branch, and 42 Motijheel is the local office. Inward clearing cheques: Inward cheques are those ones drawn on the respective branch which have been presented on other banks and will be cleared/honored through the clearing house. For example, the cheque drawn on IBBL, Head Office. Drawn on another branch of IBBL. These are called Outward Bills for Collection (OBC). Drawn on another bank, which is situated in the clearing house area. This cheques are called clearing cheque. Drawn on another bank, which is situated outside the clearing area. This cheques are also called as OBC. In the first case, these cheques are directly sent to the respective branch and requests them to send IBCA (Inter Bank Credit Advice) by which a branch credits the account of another branch. No clearing house formalities are necessary here. When IBCA comes, then customer’s accounts are credited of the amount for the cheque. In the second case, the cheques are sent to the clearing house. When the drawee bank honors the cheque then the account of the depositor against the cheque is credited. In the third case, two procedures exist. First way, if the bank exists within the clearing house area of the drawer bank, then we send the cheque to that branch of our bank and that branch collects the proceeds through clearing house formalities and sends an IBCA to us. In the second case if there is no branch of our bank, then we directly send the cheque to the drawee bank and request them to send the cheque to the proceeds by TT, DD or by other means. OBC are those cheques drawn on other banks which are not within the same clearing house. An officer gives OBC seal on this type of cheques and later sends a letter to the manager of the branch of the same bank located in the branch on which cheque has been drawn. After collection of that bill, branch advice the concerned branch in which cheque has been presented to credit the customer account through IBCA. In absence of the branch, officer sends a letter to the manager of the bank on which the cheque is drawn. That bank will send pay order in the name of the branch. This is the procedure of OBC mechanism. All clearing cheques are not received on the counter. Some cheques are received from other source for collection. These cheques are received from other branch of IBBL. These cheques are settled by sending IBCA. Remittance means transmission/transfer of money from one place to another. Local remittance represents remittance that takes place within the territory of a country. Banks have a wide network of branches all over the country and offer various types of remittance facilities to the public/customer/client etc. Total amount should be deposited by the party in cash or cheque as per arrangement. Printed DD block/leaf to be filled in by a bank official as per request of the purchase i.e. 7. Amount should be written by a cheque written in red ink. 8. Particulars of DD should be entered in DD issue registered B-44 under supervision of a authorized official. 9. Telegram/Telex should be sent for amount exceeding Tk.1.00 lac Telex/Telegram charge should be realized from the customers. 10. If the DD issued for cash payment A/c payee rubber stamp should be cancelled and a letter requesting the drawee branch to pay the DD in cash should be issued under sealed cover and signature of the payee should be attested. 11. DD Advice should be sent on the same day. When the draft is presented to the drawee branch for payment, the particulars of the draft are checked with the advice and signature(s) therein verified. As the demand drat is payable to order it is duty of the paying branch to obtain identification of the payee if payment is desired over the counter. Telegraphic Transfer is by far the quickest method of transferring funds form one place to another. Some times, the remitter of the funds requires the money to be available to the payee immediately. In that case the banker is requested by the remitter to remit the funds telegraphically. It is an instruction conveyed by telegraph/telex/telephone to the drawee branch for paying certain amount of money to a specified person. Payment order is meant for making payment of the banker’s own or of the customer’s dues locally and not for affecting any remittance to an out station. In a sense, the payment order is used for making a remittance to the local creditors. PO is required to be discharged by the beneficiary where applicable on revenue stamp of appropriate value against in cash or through account. Special modes or system specific modes. Loans and Cash Credit of conventional Banking may be provided to satisfy the working capital needs of the borrowers. 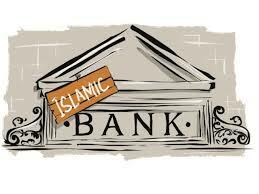 For Islamic Banks, there are no similar modes like its conventional counterpart to meet working capital needs. Though the “Quard-E-Hassana” is customarily grouped under this category, it is not widely practiced by Islamic Banks since this mode, by its very nature, does not earn any return. Quard-E-Hassana is benevolent loans, made on the interest free basis. The leading and borrowing is time bounded qualifying specific date(s) on which a certain percentage of interest or borrowed capital becomes due for payment along with the principal; and The income of the Bank is known and prefixed and not in way related to or variable with the income of the borrower generated from the borrowed money. It is a contract between two partners – the Bank and the client. Bank either shares a prefixed ratio of profit expressed in percentage terms. This profit sharing ratio is constant but actual profit is variable in respect of actual income. Or the bank may earn profit at a fixed rate on the products sold to the client which is mentioned in the trading agreement. Bai-Murabaha: Bai-Murabaha may be defined as a contract between a buyer and a seller under which the seller sells certain specific goods (permissible under Islamic Shari’ah and the Law of the Land), to the buyer at a cost plus agreed profit payable in cash or on any fixed future date in lump-sum or buy installments. The profit marked-up may be fixed in lump sum or in percentage of the cost price of the goods. Bai-Muajjal: Bai-Muajjal may be defined as a contract between a buyer and a seller under which the seller sells certain specific goods (permissible under Islamic Shariah and the Law of the country) to the buyer at an agreed fixed price payable at a certain fixed future date in lump-sum or within a fixed period by fixed installment. The seller may also sell the goods purchased by him as per order and specification of the buyer. Bai-Salam: Bai-Salam may be defined as a contract between a buyer and a seller under which the seller sells in advance in the certain commodity (ies)/ products (s) permissible under Islamic Shariah and the law of the land to the buyer at a agreed price payable on execution of the said contract and the commodity (ies)/ products (s) to the buyer at a future time in exchange of an advance price fully paid on the spot. Bai Intishna’a: Intishna’a sale is a contract in which the price is paid in advance at the time of the contract and the object of sale is manufactured and delivered later. The majority of the jurist considered Intishna’a as one of the divisions of Salam, therefore, it is subsumed under the definition of Salam. Bai as Sarf: Bank purchase the foreign currency value of the documents under Bai-As-Sarf: Foreign Documentary Bill (FDB).Bai-As-Sarf is a trading mechanism where the bank buys foreign currency from the client at an agreed rate. In case of Bai-As-Sarf: FDB bank purchase the value of the export documents expressed in Foreign Currency and paid equivalent taka in favor of the client. The client will get net amount after adjustment of their respective liabilities, if any.After realization of documents value from the issuing bank/importers bank abroad the FDB liability will be adjusted and bank will earn exchange income from it. Mudarabaha: It is a form of partnership where one party provides the funds while the other provides the expertise and management. The first party is called the Sahib-Al-Maal and the letter is referred to as the Mudarib. Any profit accrued is shared between the two parties on a pre-agreed basis, while capital loss is exclusively borne by the partner providing the capital. Musharaka: Musharaka means a partnership established between two or more partners for purposes of a commercial venture participated both in the capital and management. Thus it indicates different type of profit and loss sharing partnership. Hire purchase under Sirkatul Melk (HPSM): Under this mode the Bank may supply implements/equipments/goods on rental basis. The ownership of the implements/equipments/goods will be with the Bank and the client jointly and the portion of the client will remain to the Bank as mortgage until the closer of the investment account, but the client will be authorized to possess the equipment for certain period. The client, after completion of the installment, will be the owner of the implements/equipments/goods.